Based on a stimulus-response process. 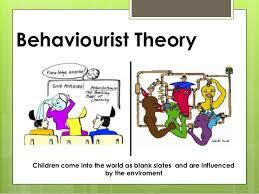 Behaviour is caused by external stimuli (operant conditioning). Behaviour can therefore be explained without analysing internal mental states or consciousness. 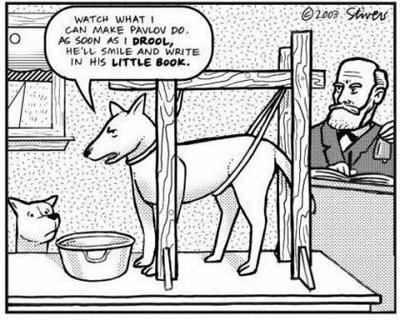 The theory that human and animal behaviour can be explained in terms of conditioning, without appeal to thoughts or feelings, and that psychological disorders are best treated by altering behaviour patterns.